At Lightfoot Mechanical, we take great pride in offering quality plumbing services, no matter what time of day or night. We are your trusted plumber in Burleson TX available for all types of calls, both in the residential and commercial arenas. 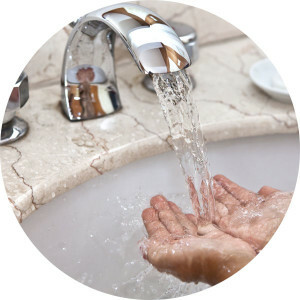 From leak detection and repair services to tankless water heaters and drain and sewer services, we provide Burleson Texas with the full range of plumbing services. We have over 20 years of experience, which is why our plumbers are the best and most reliable in the business. Over the years, we have just about seen every plumbing issue big and small. From a common toilet repair to an emergency gas leak – our employees have come across it all. That’s why we know that plumbing problems can come on suddenly or even take years to develop. With Lightfoot Plumbing, you know you are covered either way. We will send out a plumber in Burleson TX to help you with the thorough cleaning, repairs, and installations of any kind of equipment and fixtures. From small repairs to large ones, our plumbers in Burleson TX can handle any plumbing problems you may have. We know that your time is valuable, which is why we ensure that our plumbers arrive on time for the job, so you won’t have to worry about disruptions to your schedule. At Lightfoot Plumbing, we provide clean-cut and professional plumbers, whether you live in Burleson TX, or near by. We can get an expert plumber to your door day and night. If you need emergency plumbing services, don’t be afraid to give us a call no matter what the time. Our plumbers are held to the absolute highest standards of conduct and personal integrity. At Lightfoot, you can expect quality and professional service from a trusted plumber in Burleson TX each and every time. If you want to find out more about our services, please don’t hesitate to get in touch. Our fully licensed plumbers can help to answer any questions you may have and schedule routine service and maintenance to keep your pipes and equipment in check. We’re available 24/7 for all of your plumbing needs, just give us a call.